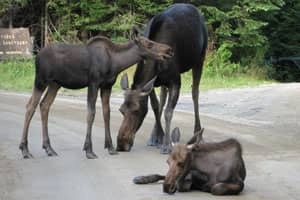 Generation after generation, visitors return to the Rangeley region, a genuine four-season paradise in the western Maine mountains. Whether it's the myriad choices for outdoor adventure or the guarantee of true serenity, all with the backdrop of an area noted for its supreme natural beauty, once folks visit, they almost always come back. They come back repeatedly, generation after generation, and many of them end up purchasing homes here. Come experience it for yourself and you'll surely understand the magical appeal of this special gem in Maine's western mountains. Browse or download our brochures, which provide a wealth of information about the region throughout the four seasons. Our brochures are an indispensable resource for visitors and residents alike. You can also request brochures to be mailed to you. Rangeley was named one of the TOP 10 Winter Towns by Yankee Magazine. Come visit and you'll quickly discover why. The lakes freeze and snow blankets the region. Cross-country skis quietly cut trails, as fat-tire bikes and snowshoes whoosh through pristine forests. Snowmobilers ride 190 miles of trails groomed daily by the Rangeley Lakes Snowmobile Club. Moose and other abundant wildlife seek refuge, but you can still catch a glimpse. Enjoy our major winter events or simply experience the natural beauty of winter in the Rangeley region. 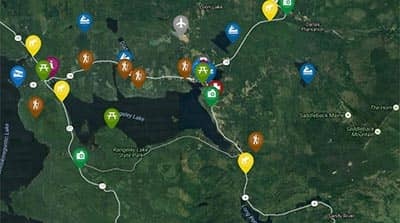 The Rangeley Lakes region is a paradise of outdoor adventures and activities throughout the 4 seasons! The list is endless, but here are some of our favorite places to see and things to do on your visit to our area - you won't want to miss these!